with the hearts of true Servant Leaders. Get to know some of these great people. Born and raised in Muskogee, Okla., Harold moved to Arkansas with his family and finally to Texas to attend Southern Methodist University. In 1984, after graduating with a Bachelor of Science degree in engineering management, eager young Harold set out to find his calling—and he didn’t have to look far. He began his career with TDIndustries in 1985 as an assistant project manager—and the only moves he’s made since are up. Harold took the reins as TD’s third CEO in 2005—but during his more than 30-year tenure, he has worked in almost every role in the company in Dallas and other cities. Now a member of the Methodist Health System Foundation Board, UTD Institute for Excellence in Corporate Governance Advisory Board, Harold is anything but bored. 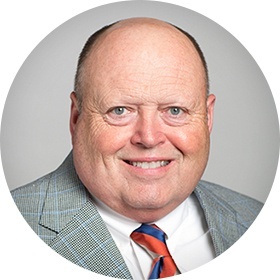 He’s also served on the SMU School of Engineering Advisory Board, the Parish Episcopal School board, the Dallas Regional Chamber, United Way of Greater Dallas, QUOIN-AGC and as chairman of the board for the Construction Education Foundation. Through these organizations, Harold has strengthened the community and helped others who want to be masters of their trades. 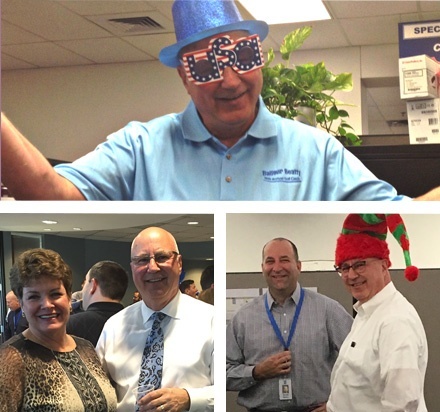 Running the company isn’t the only exercise Harold gets—he enjoys fishing, golfing, hanging at the lake and traveling. Not only is Evelyn a credentialed leader who is highly respected by all of TD’s Partners—she’s also active in the community. 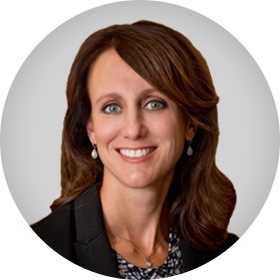 In 2012, she earned D Magazine’s award for “Outstanding CFO for a Midsize Public Company.” It’s a well-deserved honor given her track record of success in analyzing operations, boosting technology infrastructure and constantly striving to improve the bottom line. Evelyn received her Bachelor of Business Administration degree in accounting from the University of Houston and is a certified public accountant. Her broad experience across a number of industries and her service as CFO for The Dallas Morning News and Agencies of Change makes her a well-rounded team player who brings fresh perspectives to TD. Evelyn enjoys reading, listening to music, traveling and holistic living. Married to husband, Jimmy, with one daughter and their dog, Cookie. 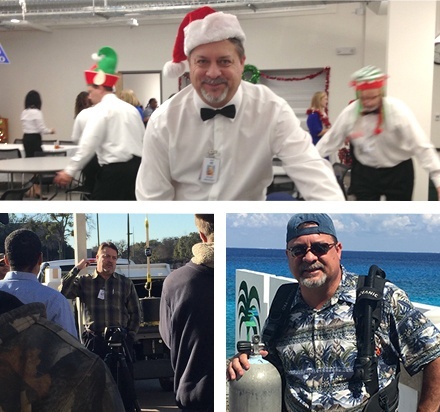 A natural leader and innovator, Steve joined the TD team in 1998 as a mechanical design engineer. In just two short years, he became manager of the Engineering Group. Shortly thereafter, he earned the title of Vice President, and by 2009, after estimating and manufacturing were added to his responsibilities, he became a Senior Vice President. Because of his experience and successes, he assumed the role of chief technology officer in 2011, leading information technology strategy, engineering coordination, estimating and manufacturing. 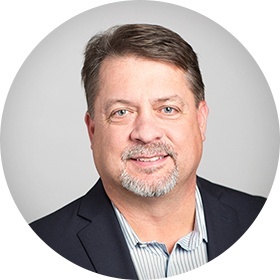 With licenses in multiple states, accreditations and certifications, Steve has a wealth of knowledege and expertise he shares with the team to support growth and continued learning. With his creative and constantly curious mind, Steve enjoys electronic toys and gadgets and is passionate about problem-solving. He also enjoys unwinding while watching sports on ESPN. Steve is married to wife, Coley, and has three daughters, Allie, Audrey and Avery. Hattie’s role gives her responsibility for brand strategy and marketing efforts for the company. She also oversees and closely collaborates with the sales team on the pursuit strategy and development of qualifications. Prior to joining TDIndustries, Hattie led the marketing and communications efforts for a regional architecture and engineering firm where she developed and led the public outreach arm of the organization working with multiple public agencies to raise awareness and gain consensus from their constituents on a variety of planning and construction projects. 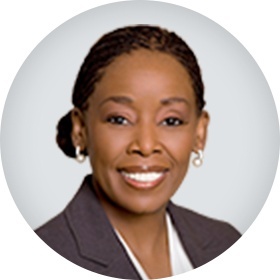 Hattie is active with several non-profit organizations and currently serves as Board Programs Co-Chair for the Dallas Regional Chamber Leadership Dallas Alumni board and as the Executive Board Development Co-Chair for Big Thought. Hattie has also been actively involved with the Society of American Military Engineers, which inducted her as a Fellow in 2010. Hattie received her Bachelor of Science degree in business administration with an emphasis in marketing from Brigham Young University. She currently lives in Grapevine, Texas with husband Carl and two daughters. Justin Bowker was born and raised in San Antonio. After graduating from UT Austin, he and his wife embarked on a three-week drive to Seattle with a car full of belongings and a tower computer in the backseat that was used to fax résumés from hotel rooms. He landed a job at a design-build contractor and thus began his passion for harnessing the power of the integration of design knowledge and construction expertise to address our project’s complex opportunities. 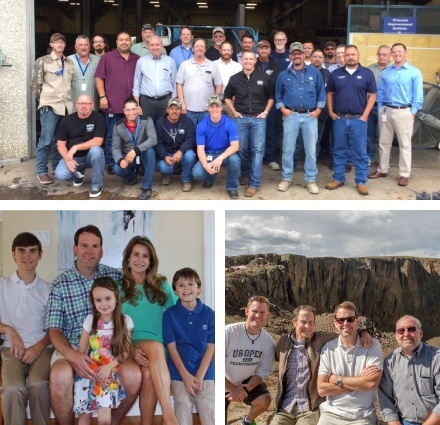 Since moving back to Texas in 2001, Justin has been in the Engineering Team at TDIndustries of which he became the manager in 2009 and Vice President in 2016. Under his leadership, the team challenges itself to harness technical approaches to provide focused value to the owner on design/assist and design/build projects. Furthermore, Justin is very active with developing technical training to equip all of our Partners with know-how to deliver optimal performance, constructability, and cost. 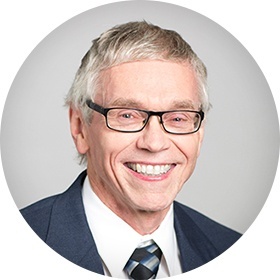 Mark Reynolds had only been working at TD for six months when he was promoted from Project Manager of Development and Enterprise Architecture to Director of Information Technology, and subsequently to Vice President of Information Technology. He’s made a significant impact at TD by introducing Portfolio Agile methodologies to manage the various support, infrastructure, and development initiatives of our ever-growing business. Mark began his career serving as Associate Director of the Small Business Institute at the University of North Texas. He left UNT to lead an MRP project at Harris Computer Corporation. 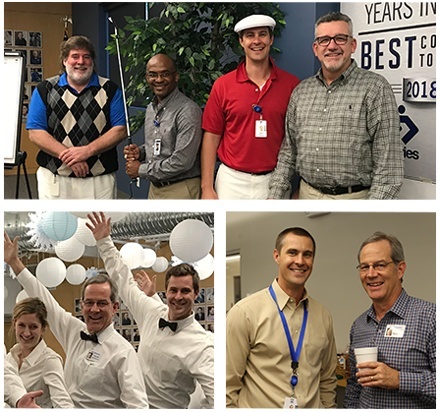 After several years at Harris, Mark co-founded Techsys Business Solutions (TBS), a regional software consulting firm where he led as principal for over 30 years. As any good president should, Mike has experience that runs the gamut. 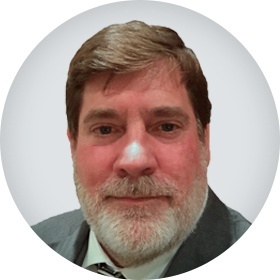 Mike has worked as a service general manager for projects galore, from hotels and commercial buildings to medical facilities and energy conservation. In construction, he has designed, estimated and served as project manager–he really has done it all. Working for MMC Contractors in Kansas City, he built the company into a leader in healthcare construction. In 2013, he joined TDIndustries as president to develop the Dallas office, guiding all construction and service in the region. 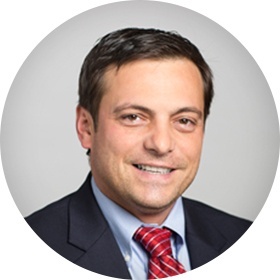 Mike studied mechanical engineering at Drexel University and Villanova University. He earned a Bachelor of Science degree in management with a minor in marketing from Franklin Pierce University. Mike is very involved with the industry. He’s a member of ASHRAE, the National Society of Professional Engineers, the Association of Energy Engineers (charter member), the National Association of Plumbing Engineers and the Association of General Contractors; chairman of the Lean Construction Institute’s Research Committee, past president and co-founder of the Kansas City Chapter of the Lean Construction Institute, member of the Leadership Advisory Council for Pittsburg State University’s Construction School, member of the Kansas City Chamber of Commerce Energy and Environmental committees, past board member of The Builder’s Association, past board and executive committee member of the Labor Management Council of Kansas City, past national board member of the Mechanical Contractors Association of America, past board member and president of the Mechanical Contractors Association of Kansas City and past board chairman of the Plumbing Contractors of America. In Mike’s spare time, he stays busy playing golf, reading, learning and is an avid sports fan. Mike and his wife, Susan, have two sons, a daughter, a dog, and cats. 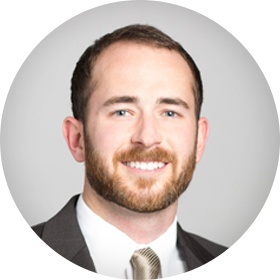 David started at TD in 2008 as a project manager in the Dallas Major Projects division before moving to Special Projects in 2014. Now he leads Fort Worth Construction. A 10-year Partner, Matt Terry came to TD from an aerospace company. He is the Senior Vice President of our Major Projects division and oversees the VDC team for North Texas. He is an active leader in Lean efforts, and has played a vital role in supporting new construction sales efforts in North Texas. A skilled tradesman, Scott joined TDIndustries in 2005 as a senior service manager responsible for the plumbing team. 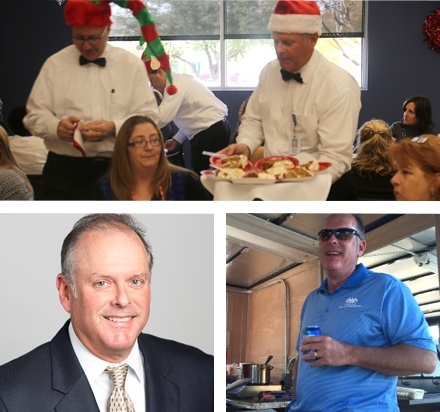 In 2011, he was promoted to senior vice president and now oversees all aspects of the Service Division in the Dallas region, as well as the Plumbing, HVAC, Electrical, and Restaurant Service teams and the Contact Center and Business Development team. 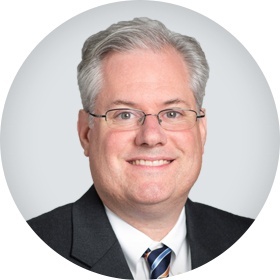 Throughout his career, Scott has proven his expertise in developing, implementing and improving financial results by leading teams to success. Scott attended North Tarrant County Community College Center for Creative Leadership. Scott is a member of the Air Conditioning Contractors of America, Apartment Association of Greater Dallas and the Apartment Association of Tarrant County. A music lover, Scott enjoys traveling to see live music in exciting venues. He also enjoys scuba diving. Scott is married to wife, Cathy, and has three children. 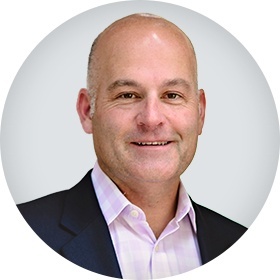 Scott joined TDIndustries in 2003 and provided strong leadership through 2010. Working out of the Dallas and Arizona offices, he was instrumental in a large Tier IV data center construction project in Roanoke, Texas. After a brief hiatus working with a local design/build contractor, Scott returned to TD in 2013 as Vice President of Dallas Special Projects. He brings with him LEED-accredited professionalism, industry expertise and a commitment to servant leadership. Scott earned his Bachelor of Science degree in industrial technology from the University of North Texas. Scott holds a seat on the American Subcontractors Association Board of Directors. Scott enjoys any kind of outdoor activity, especially if it involves 18 holes and a club or two. Scott and his wife, Terri, have two sons. 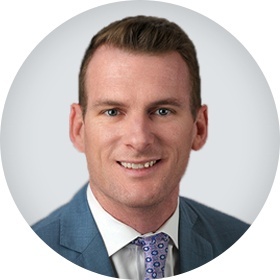 Brent started at TD in 2000 as an assistant project manager before moving away for six years. In 2011, he returned to TD and now works as our vice president of North Texas Pre-Construction Services. He’s proud to be a “retread,” citing the people at TD as his main reason for returning. 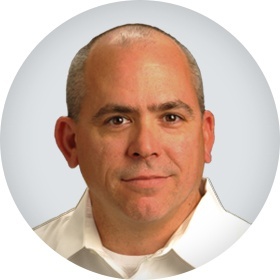 Brent currently manages the estimating and take-off teams for North Texas. His attention to detail, technical knowledge, and ability to lead drives his passion for the overall customer experience. 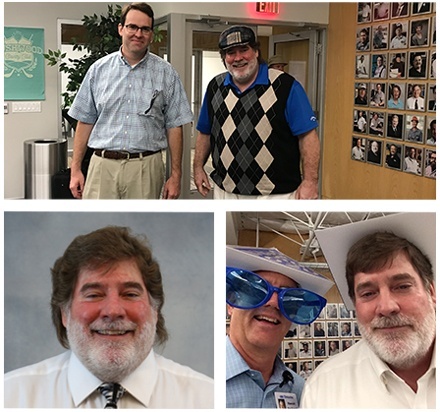 JimBo started at TD as a plumber’s helper almost 40 years ago, and has risen to become the Vice President of Operations for North Texas. He supports production by guiding manpower allocation, developing plans, adhering to policies, and training. JimBo cares about diversity, and leads many efforts in that regard. He was a key player on several megaprojects. JimBo’s target is to make sure Partners can come to work, make quality contributions, stay safe, and return home safely. Riding horses, traveling, grilling, playing with his dogs, Emma and Gus, spending time with family and friends. JimBo and wife Renee, have two adult daughters, and four grandchildren. Since joining TDIndustries in 2005, Kyle Hogue has been recognized as a Servant Leader by those whom he leads and his peers. Prior to becoming Vice President, he served as the Contact Center Manager and Sales Manager for Dallas Service. 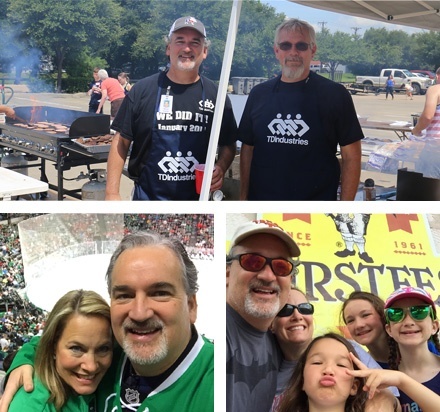 Kyle has played an instrumental role in the success of both the Dallas Business Unit and of the Truck-Based Service organization and leadership team. Kyle founded our centralized Customer Care Center which oversees all inbound service call activity 24/7/365. He has also led multiple operations including Building Automation Controls, Plumbing, Electrical and Fire and Life Safety Service as well as Business Development. In his current role he leads the Special Projects Construction team. Kyle is a Certified Energy Manager and Certified Water Efficiency Professional. He has a desire for continuous improvement, is high energy and passionately serves our customers, company and our Partners. With vast experience as an HVAC Technician and HVAC Field Supervisor, Lyn Freeman has the knowledge and skills to lead by example as the Vice President of Fort Worth Service. 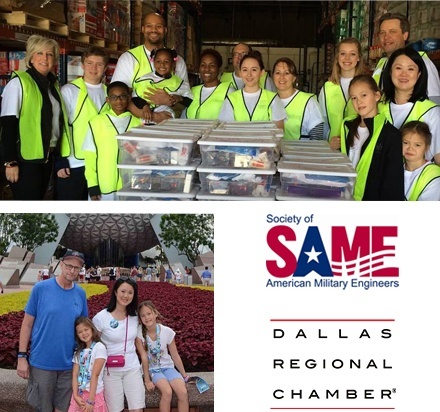 Since his promotion to a leadership role, the Fort Worth Service group has experienced significant growth. Lyn is known for his fantastic attitude and brings pure joy to everyone he encounters. He brings the meaning of TD’s Core Values to life in his actions and intentions every single day. Lyn and wife Cathy have two sons. 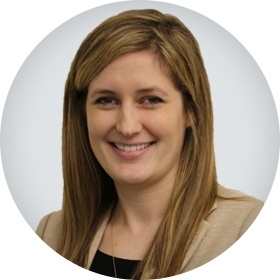 Lauren previously led TD's Manufacturing division as director and Vice President. When Lauren joined TD in 2014 as a Process Improvement Specialist, she quickly became the go-to person for process improvement initiatives utilizing Lean methodology. Lauren also helped develop and teach numerous Lean training classes in multiple geographies. She previously worked for Lockheed Martin Missiles and Fire Control in various production management roles. 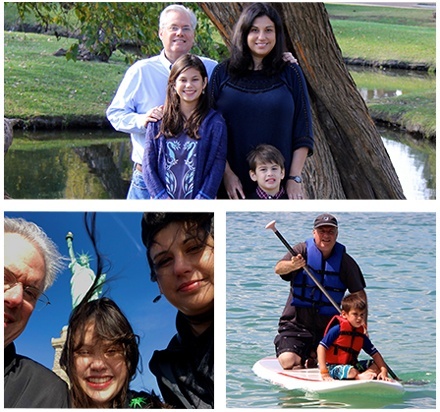 Lauren lives in Coppell with her husband Craig, her son and her daughter. A Texas native, Graham is one of TDIndustries’ most loyal servant leaders, having joined the company in 1979 as a senior project manager. In his time with TD, Graham has served as manager of engineering and manufacturing, regional manager, Vice President, Senior Vice President and President of the Phoenix office. He also holds multiple trade licenses in Texas and other states, including California and Florida. In addition to building things (surprise, surprise), Graham enjoys golf, skiing and cars (the faster and older, the better). Graham is married with two sons. A native of Canton, Ohio, Ed moved to Phoenix in 1965, where he eventually launched and built a successful 30-plus-year career in the mechanical design and built industry. In 2001, he was instrumental in the launch of the Arizona office for TDIndustries, where he’s responsible for a number of large-scale projects spanning the southwest, including the Arizona Cardinal Stadium. 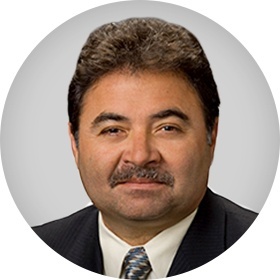 In addition to serving as executive vice president for Arizona, office, Ed also serves on the Arizona Builders Alliance board and is the organization’s president and member of the Mechanical Council, Apprenticeship Committee and Legislative Committee. Ed received his degree in mechanical construction from Scottsdale Community College. Ed holds the following licenses: Arizona Business, Nevada Business, A/C, Process Piping and Solar. Former president of the Arizona Builders Alliance (ABC/AGC Charter), member of the Arizona Builder Alliance, the central Arizona Society for Healthcare Engineering and the Advisory Council of the East Valley Institute of Technology. 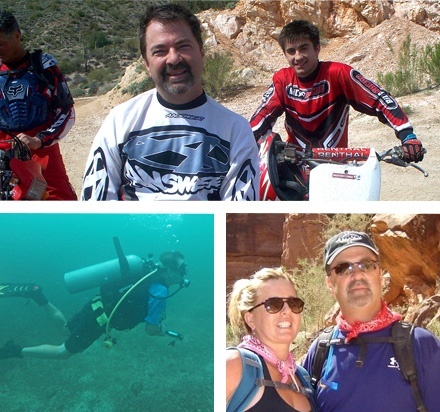 With a need for speed, Ed enjoys motocross, off-road racing and cycling, as well as hiking and golf. Married to Valerie, Ed has three sons. Chris Brown started his career elsewhere, working as a pipefitter apprentice, in the manufacturing shop, in purchasing, and as a project manager and finally the division manager of their Special Projects Team. He joined TD more than 10 years ago, and is currently the Vice President of Arizona Special Projects. Chris and wife Heidi have been married for 19 years and have a daughter. 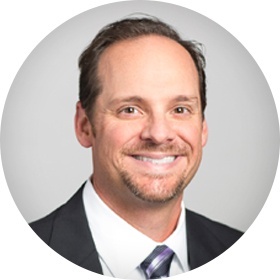 With a diverse background and in-depth knowledge of the industry, Jay Layton provides priceless leadership for the preconstruction team, the VDC group, and construction production in Arizona. 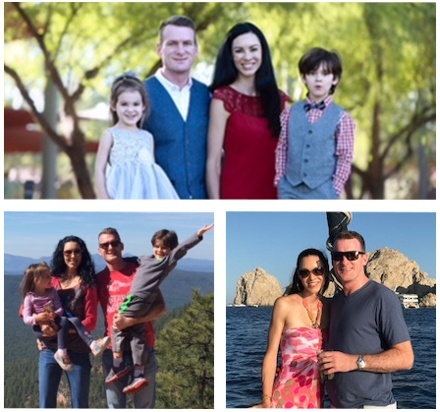 He’s the perfect fit for the fast-paced growth of TD’s Arizona operations and increasing needs of our clients. 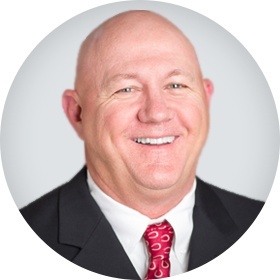 Prior to becoming the Vice President of Operations for Arizona at TD, Jay served as the Southwest Division Manager for Cobb Mechanical. In this role, he was responsible for all business development, marketing, and business operations for the organization. Earlier in his career, Jay spent 11 years with Kinetic Systems in positions including Project Manager, Regional Financial Controller, and finally Vice President, Operations Support. With a vast experience and knowledge of Design-Build and Design-Assist project deliveries, Nicolas Sfeir is the perfect leader for TD’s growing imprint in the market. 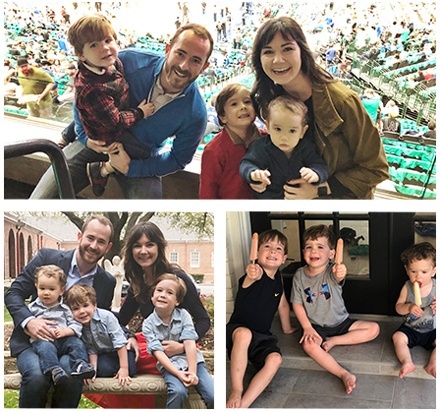 He brings additional value to our preconstruction, operations and service offerings in his role as the Vice President of TD’s Austin business unit. During the course of his career, Nicolas led a number of highly successful projects; Fort Hood Hospital, the Wynn Hotel, Aria Tower at City Center, and SouthPoint Hotel and Casino. He graduated with a mechanical engineering degree from the University of Nevada at Las Vegas. Nicolas is always involved in self-improvement with leadership training and coaching. 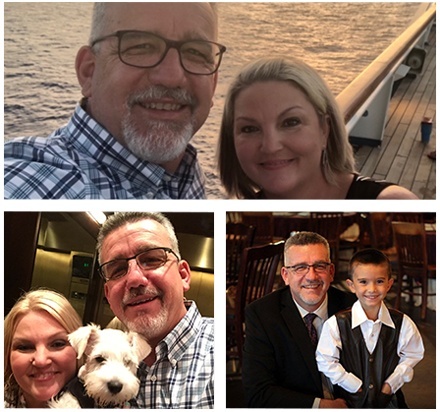 Roger joined TD in 2011 after working in the service industry for 23 years, primarily with Trane as the Service Solutions Leader in North Texas. Prior to that he had 15 years of experience as a builder and developer with Beck, Lincoln Property Company, and Jackson-Shaw. 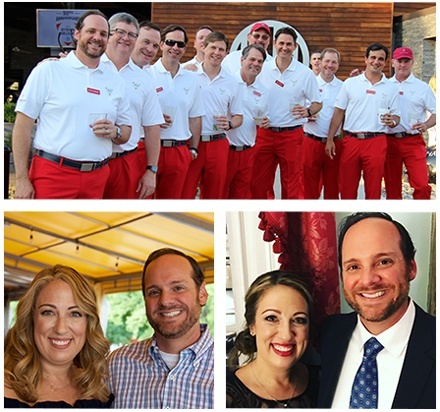 After leading the TD HVAC Service Group in Dallas for three years, he transferred to Austin to become the Vice President and Service Leader for Central Texas. With his architectural engineering background and 45 years of combined experience in construction and service, he brings great perspectives to his work. 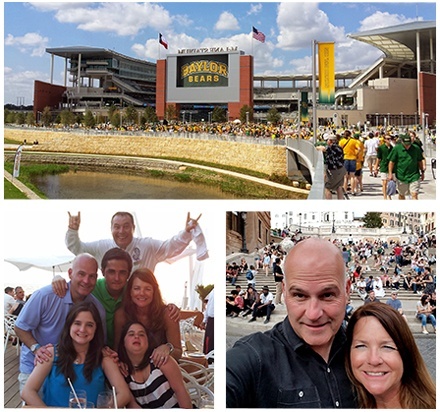 This native Texan has worked all over the Lone Star State, and enjoys TD’s unique culture. Roger loves to travel and spend time outdoors; especially golfing, fishing, and playing the guitar. Roger is married to Salinee (a former TDPartner). They have two sons, one daughter, four granddaughters, and one grandson. New Jersey native Nikki came on board with TDIndustries in 1997. Just eight years later, she became Senior Vice President leading the Houston Service, Building System Integration and Professional Services teams. Her successful leadership earned her a spot on the executive team in 2011. Nikki is LEED AP and O&M certified and is a member of the Air Conditioning Contractors of America, the Plumbing Heating and Cooling Contractors and the United States Green Building Council. Nikki earned a Bachelor of Business Administration degree with a minor in marketing from Stockton University. 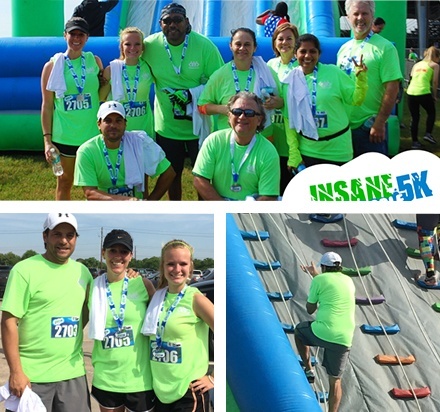 When Nikki isn’t helping run the Houston operation, she’s out running half marathons. She participates annually in the MS bicycle race from Houston to Austin, and enjoys yoga, camping, and gardening. Nikki and her husband, Eric, have four children and two grandchildren. 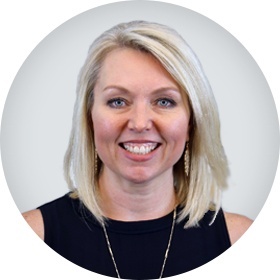 Randee joined TDIndustries in 1995 as an assistant project manager and has risen through the organization to her current position of Senior Vice President. In 2011, she was named a member of the executive team. A native of the Houston area, Randee has been actively involved with the business community for years. She served the Women Contractors Association as a vice president and board member and currently serves on the board of the Associated Builders and Contractors of Greater Houston. Randee received her Bachelor of Science degree in construction science from Texas A&M University. 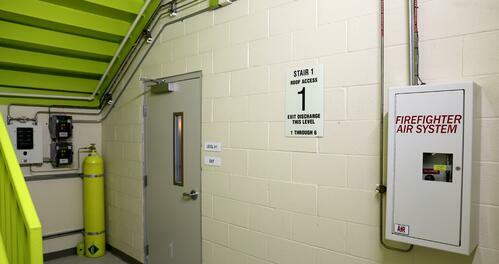 Randee has LEED AP, BD+C accreditation. 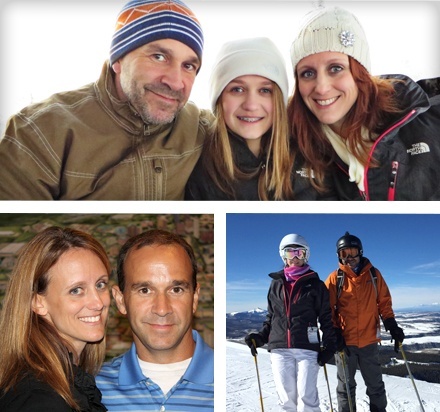 Randee enjoys spending time with family, especially in Colorado where she can mountain bike and rock climb. 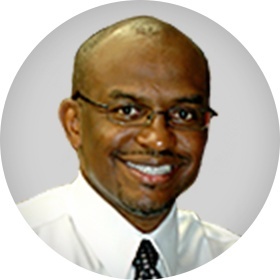 Ronell joined TDIndustries in 1988 as a project coordinator. 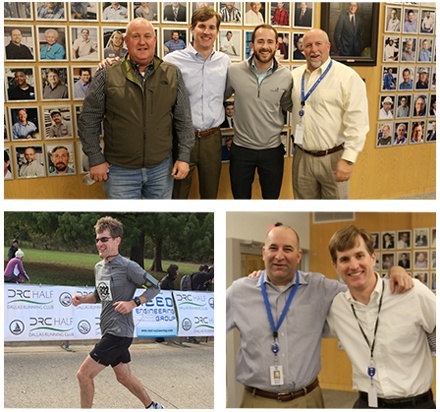 Over the course of 26 years, he’s progressed through a number of roles within the organization. In 2013, Ronell became Senior Vice President over the Houston Special Projects Team, as well as senior manager at TD. A pillar in his community, Ronell serves as volunteer chaplain at the Harris County Jail, board member of Spaulding for Children and is a board member of the America Subcontractors Association and committee member of the AGC Specialty Contractor Council. Ronell received his Bachelor of Science degree in mechanical engineering from the University of Texas at Arlington and his Master of Divinity w/BL from Southwestern Baptist Theological Seminary. 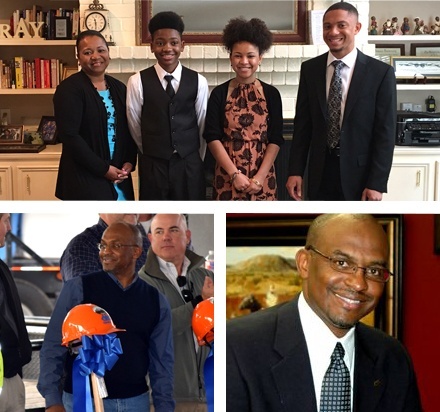 Ronell is a board member of Spaulding for Children; Commercial Committee chair, volunteer chaplain at the Harris County Jail; AGC Specialty Contractor Council committee member and formerly served on the board of the Associated Builders and Contractors, ASA. In addition to faith and family, Ronell enjoys spending time reading and playing basketball. Ronell and his wife, Felicia, have three children. 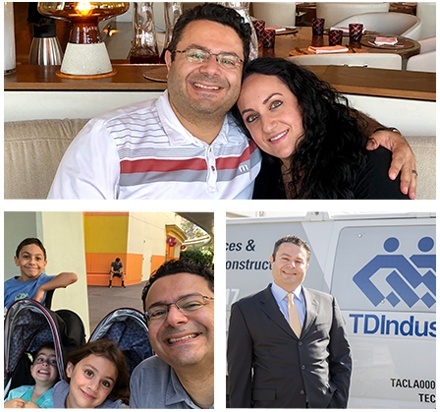 A 15-year TDIndustries veteran, Tasos has worn many hats in project management, estimating, preconstruction services leader and business development. Tasos’ active industry involvement includes membership in the Associated General Contractors, the Association of Builders and Contractors, the American Society of Heating, Refrigerating and Air-Conditioning Engineers and the Design Build Institute of America. He’s a well-rounded asset to the team and has helped lead many successes for the Houston division. Tasos earned his Bachelor of Science degree in construction science and management from Kansas State University. Tasos is a member of the Associated General Contractors, Association of Builders and Contractors, American Society of Heating, Refrigerating and Air-Conditioning Engineers and the Design Build Institute of America. Believe it or not, conceptual estimating made it to Tasos’ short-list of things he enjoys doing. But, outside of work, he enjoys hitting the links and traveling. Tasos is married to Tammy and has one daughter. 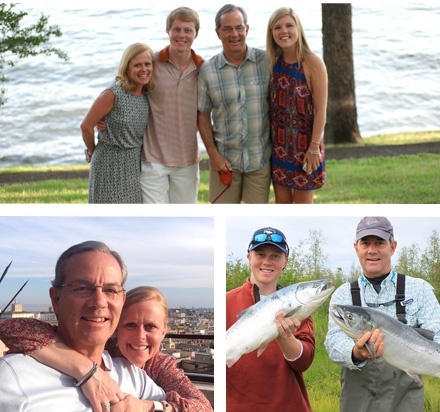 Originally from Metairie, Louisiana, James moved to Texas to work for TDIndustries. 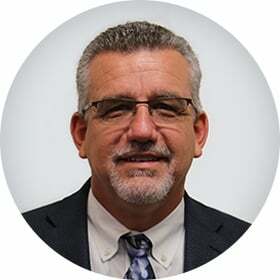 Coming from an energy company’s thermal process division, James is the Vice President of TD’s Houston Facilities team. James enjoys TD’s atmosphere and diverse business offerings. 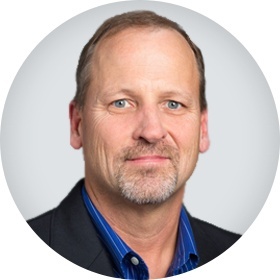 With nearly 40 years of experience under his belt, Wesley Baker came to TDIndustries from Brandt in May 2012 to lead Dallas Special Projects. After two strong years, he moved to San Antonio in 2014 and was promoted to vice president in 2017. Wesley provides strategic leadership and development for San Antonio, and has the credentials to support himself when he speaks. He is licensed in plumbing, medical gas, air conditioning, and was one of the first TD graduates of the Lean Green Belt program, for which he continues to gather support. He is involved with ABC and I-LinCP, among other pursuits. Wesley is married to Pamela. They have seven children, including daughter Jennifer, who is a project manager at the Process Solutions office. He also has two grandchildren. 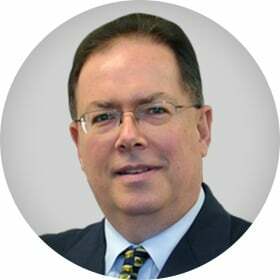 A Honeywell alumnus, Bob joined TD in 1993 as a business development manager. In 1995, he became a regional manager responsible for leading San Antonio and Austin operations and building the Phoenix business. 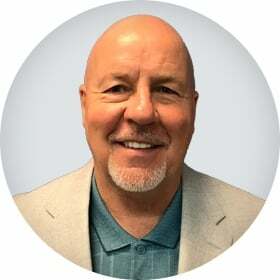 He has risen through the ranks and is now responsible for the Dallas Service, Building Systems Integration, Fire/Life Safety and Process Solutions team. A licensed journeyman electrician and a Certified Energy Manager, Bob brings with him a career of expertise and experience. Bob received his Bachelor of Business Administration degree from Maycrest College. Bob serves on the Goodwill Industries Board of Directors. An outdoors enthusiast, Bob enjoys hiking and cycling. 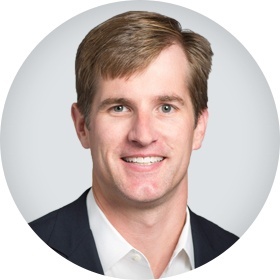 A Mississippi native, Carson started his career at TD in the spring of 2000 after graduating from Ole Miss. 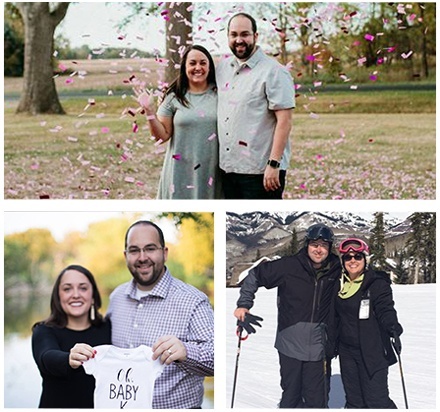 His first 8 months were spent learning field operations on job sites, later moving into the office as an Assistant Project Manager for the Colorado Region. 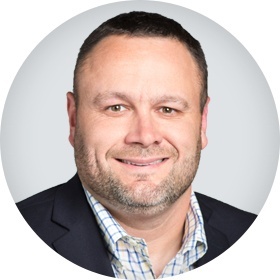 Throughout the last 17 years, Carson has worked through the organization as Project Manager, Senior Project Manager, Regional Manager, Vice President, and currently serves as Senior Vice President in TD’s Multifamily division. 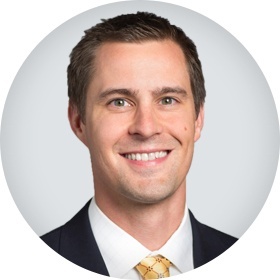 As one of a few TDPartners with experience in the highly-competitive Denver market, Carson is uniquely equipped to lead his multi-geographical team. Because of his leadership, the multifamily group is one of TD’s most consistently performing business units with great camaraderie, flourishing careers, and renowned projects. Carson’s an alum of Ole Miss in Oxford, Mississippi, graduating with a degree in business/economics. In addition to LEED AP certification, Carson is an instrument-rated FAA-licensed private pilot. Flying airplanes, hunting, camping, spending time with my kids, traveling, rebuilding classic Toyota Land Cruisers, and leading an annual 4×4 expedition to Utah and Southwest Texas. Andrew started at TD as an intern in 2008 before officially joining the Engineering Team upon graduation. He strengthened Process Solutions’ Pre-Construction and Sales focus before becoming vice president and business unit manager for Process Solutions. Andrew is an avid Michigan State fan and a Sooner fan by marriage. He enjoys home renovations, tractor pulling, hunting, and traveling. Andrew and his wife Mary, who works in TD’s Service department, have a daughter. 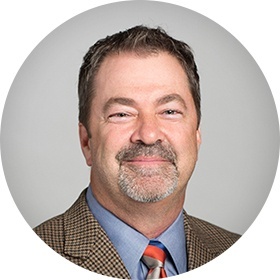 Brian Lillard has 30 years of real-estate and facilities experience in a range of industries including corporate, healthcare, and education. 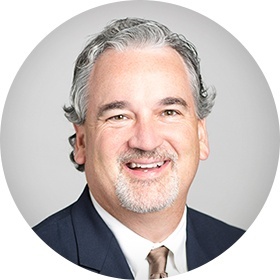 Prior to becoming Vice President and Business Unit Manager of Facilities, he served as Chief Operating Officer at Camelot Facility Management Services in Plano from 2009-2018. There, he oversaw great growth and added accounts including Liberty Mutual and Pizza Hut, among others. Brian also previously worked for Trammel Crow Company and Panattoni Development, and founded his own real-estate software company. With a background in facilities management and real-estate, and a passion for growing the business, Brian is an invaluable asset. Harold took the reins as TD’s third CEO in 2005—but during his more than 30-year tenure, he’s has worked in almost every role in the company in Dallas and other cities. Now a member of the SMU School of Engineering Advisory Board, Methodist Health System Foundation Board, UTD Institute for Excellence in Corporate Governance Advisory Board, Harold is anything but bored. He’s also served on the Parish Episcopal School board, the Dallas Regional Chamber, United Way of Greater Dallas, QUOIN-AGC and as chairman of the board for the Construction Education Foundation. Through these organizations, Harold has strengthened the community and helped others who want to be masters of their trades. 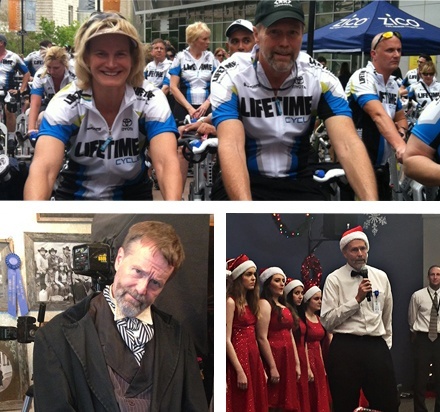 Harold shares life with his wife, Cathy, a daughter and a son. Dora Verda joined the TDIndustries Board of Directors in February 2008 and serves as chair of the Audit Committee. An accounting and audit consultant and certified public accountant, Dora has more than 30 years of experience in accounting, auditing and consulting. She served five years as chief of internal audit for the San Antonio Water System and 18 years as a partner in a local public accounting firm. If her experience didn’t speak for her, Dora is also active in numerous service and professional organizations, including the Texas Guaranteed Student Loan Corp., Say Si, a non-profit arts organization, Texas Public Radio for San Antonio and the Hill Country, the American Institute of Certified Public Accountants, the Texas Society of CPAs, the San Antonio Chapter of CPAs, the Institute of Internal Auditors and the National Association of Corporate Directors. When she’s not working giving back to the community, Dora enjoys being with family—especially her granddaughter. She also enjoys antiquing and reading. Married to husband, Henry, Dora has a daughter and granddaughter. Noel joined TDIndustries’ Board of Directors in 2009. 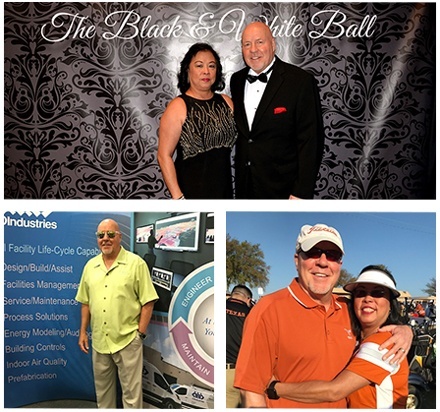 With experience as the owner of NRG Solutions LLC and a 30-year career with Marathon Oil Company, Noel’s experience runs deep. Noel was a member of the External Advisory Council to the UTPA Dean of Engineering, board member for the Collaborative for Children in Houston; board member of the Houston Chamber of Commerce; and board member of INROADS, a non-profit organization providing internships for minority college students. Noel holds a Bachelor of Science degree in natural gas engineering from Texas A&M University – Kingsville. 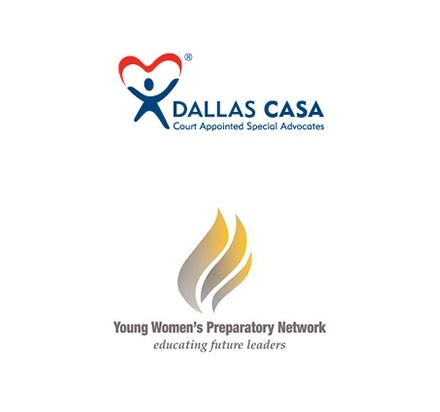 Past member of the External Advisory Council to the UTPA Dean of Engineering in Edinburg, TX; past board member for the Collaborative for Children in Houston; past board member of the Houston Chamber of Commerce; past board member of INROADS, a non-profit organization providing internships for minority college students. 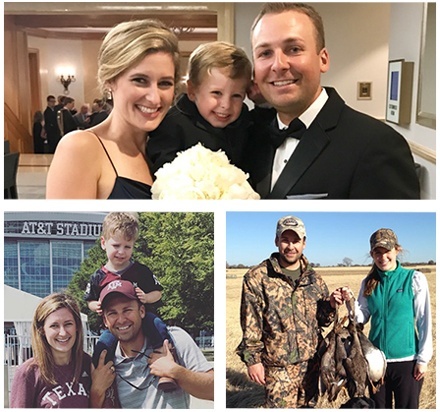 When he’s not managing his cattle ranch in South Texas or Pine Tree Plantation in New Waverly, Noel enjoys real estate investments, golfing, bow hunting, fishing and racquetball. Married to Lucinda, Noel has two sons. 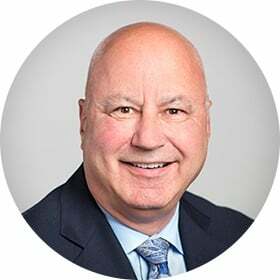 Paul is president and chief executive officer of California Eastern Laboratories in Santa Clara, Calif. After facilitating TDIndustries’ strategic planning from 1997-2007, he joined the Board of Directors in 2014. Paul’s experience extends beyond leadership of large corporations. He’s also co-founded two start-up technology companies and and served as a strategy consultant for Cisco Systems, Toshiba Medical Systems, Johnson Controls, Hormel, TD and other firms. Paul earned his Bachelor of Arts degree in economics with additional concentrations in chemistry and math from the University of Maryland-College Park. He received his Master of Arts degree in economics from Stanford University Graduate School of Business with additional studies in business and engineering. 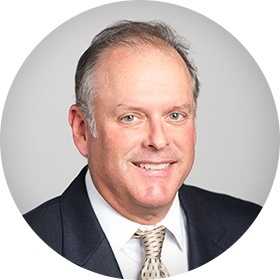 In addition to serving on the TD Board of Directors, Paul is also a member of the CEL Board of Directors and has served on numerous other corporate and civic boards, including Edison Systems Corporation, Potrero Hill Parents Association and Potrero Hill Boosters Neighborhood Association. He’s also active in a variety of education and service organizations, including the University of Michigan College of Engineering National Advisory Committee and Synergy School Development Committee. When he has time, Paul enjoys traveling, camping, photography and cooking. 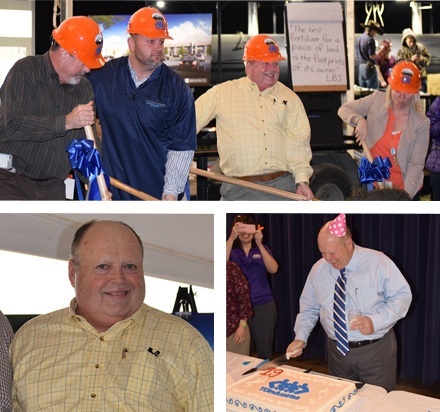 Mike joined TDIndustries in 1984 and quickly moved up the ranks from vice president to secretary-treasurer and finally to chief financial officer in 1988, which he served until his retirement in 2015. 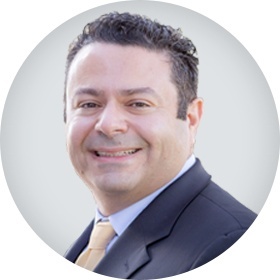 Mike is a certified public accountant and a Certified Construction Industry Financial Professional. He serves on the board of the Valwood Improvement Authority and is a member of the Construction Financial Management Association. He’s also an active member of his church and other civic and professional organizations. 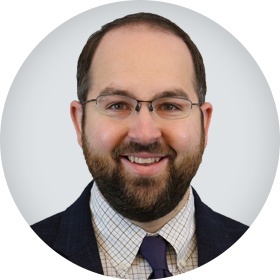 Mike holds a Bachelor of Science degree in accounting from Northern Illinois University and a Master of Business Administration degree from Southern Methodist University. 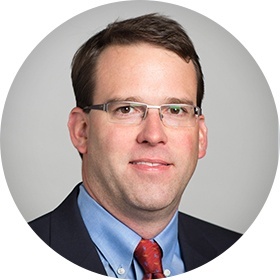 Mike is actively involved with the Valwood Improvement Authority as a board member, as well as with CFMA, his church and a number of additional civic and professional organizations. Always on the go, Mike enjoys fitness, traveling and reading. Mike is married with two children and three grandchildren. The vice president for strategic planning and analysis and professor of practice in the University of Arizona College of Architecture, Planning and Landscape Architecture, Barabara joined the TDIndustries Board of Directors in 2013. A registered architect in Texas, Barbara has put her skills to use for major firms, such as Gresham Smith and Partners and Spillis Candela and Partners. She has served as university architect for the University of Miami and Rice University. Professor, leader and architect, Barbara is also an author. 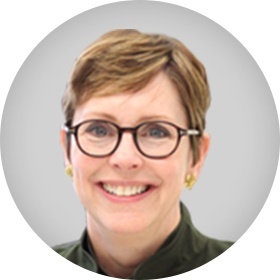 She co-wrote the 2010 book “The Owner’s Dilemma: Driving Success and Innovation in the Design and Construction Industry.” Barbara’s vast experiences make her invaluable to the TD Board. Barbara received her Bachelor of Science degree in architecture from the University of Texas at Arlington, a Master of Business Administration degree from the University of Miami and a doctorate degree in higher education from the University of Pennsylvania. In addition to the TD board, Barbara’s a member of the American Institute of Architects, a member of the Association of University Architects and a board member of the Design Future’s Council for Design Intelligence. From 2012 to 2014, she served as co-chair for the United Way campaign at Rice University. 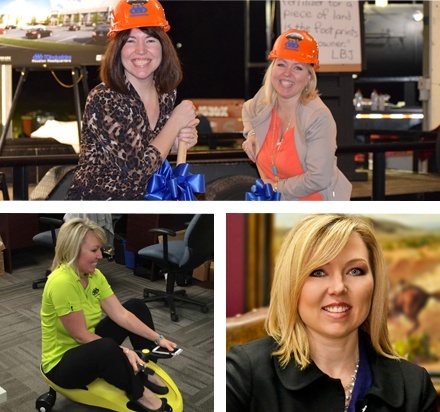 When she’s not conducting rigorous research in the construction industry and helping others succeed, Barbara likes to write, illustrate and crunch numbers. Barbara and husband, Jeffrey, have three grown sons and one amazing granddaughter.